How to participate in socialmedia.market crowdsale? The first phase of the public token sale started on december 7, 2017, 12:00 pm pdt (-7 utc). The token sale will last till december 21, 2017, 12:00 pm pdt (-7 utc) or as soon as we reach the hard cap. To participate in socialmedia.market crowdsale you should sign up to your personal account on our website and buy social media tokens with btc or eth. Who stands behind of socialmedia.market? The team behind socialmedia.market has years of expertise in entertainment, marketing, analysis and product development. Being one of the biggest private game retailers we have sold over 10 million of games in the past 3 years. We have also created a popular marketplace for virtual items — csgo.cash. It has almost a million active esports players monthly selling their in-game items. Games and esports industries were the first to discover enormous potential of influencer marketing. Therefore, we were among the early adopters of the strategy, learning by hand all the drawbacks and problems of influencer marketing. We have unique insights of how the industry operates and how to make everything simpler and better. What is total supply of token smt? Based on the number of tokens distributed during both sale phases, 15% more tokens will be issued for platform core functionality and 5% for partners and advisors. This will form the total amount of smts ever issued. Will you have any discounts / bonuses? During the crowdsale we have a bonus 10%. The payments are accepted in eth and btc only. Please, note! Regardless of the currency you choose for contribution (eth or btc) you need to have the ethereum wallet address (master wallet) in order to receive smt. How the token can be used? 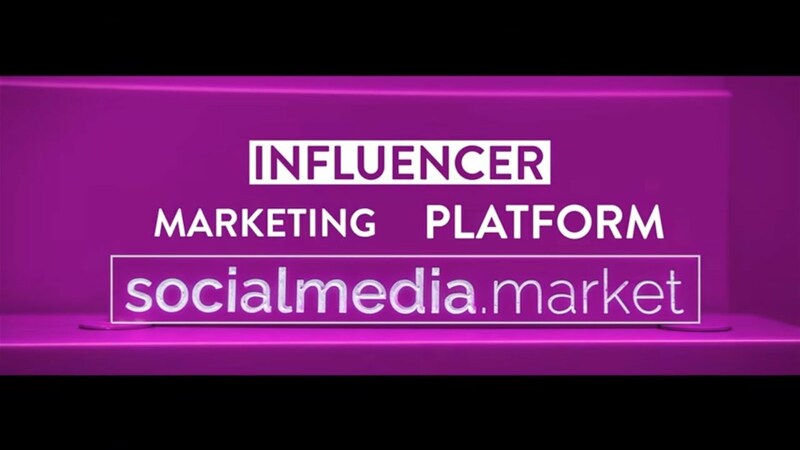 Socialmedia.market’s core functionality will be maintained by a utility token — social media token (smt). Smts will be nessasry to create and pay for marketing campaigns, to pay for additional services and tools within the platfrom (e.g. Support of personal agent for blogers; adhanced tools and researches for brands), to pay for self-promotion campaigns by bloggers. All token holders will be able to earn rewards in smt within the platfrom by participating in dispute system. Also, smts will be transferable outside the platform. Social media token holders will be able to operate on largest digital currency exchanges, where potential platform users will be purchasing smts in order to use platform services. Here is a short guide on how to create a wallet in myetherwallet. The process for other wallets is similar. Step 1.Visit myetherwallet, enter a strong password and generate a wallet. Step 2.Now you need to store your private key. There are 3 ways to do this. Download a .json file with an encrypted version of the private key. It is compatible with geth, mist and myetherwallet. Also it requires a password to decrypt (keystore). Store unencrypted version of your private key by downloading it in a .json file. Copy paste a .json file from the website. To get an additional level of security for your wallet you can use the keystore (encrypted) feature. Step 3. Make sure to save your wallet address or the qr code. You have to give a sender a public key in order to receive transactions. You can copy the text format or the qr code. Your qr code can also be used to create a paper wallet. How to buy social media token? To buy smt you need to register on socialmedia.market.